Unfortunately, this poor guy must have parked his carriage illegally. In his defense he did try to get out of the ticket by appealing to the police officer, telling him his brother was "on the job" as a crowd control horse with the police force. Apparently, the officer wasn't buying it and ticketed him anyway. Personally, I think he should be allowed into the court room and be able to state his case to the judge in person. Yep, he should be allowed to plead his case in horse. It's only fair. 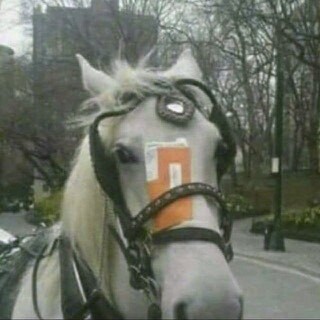 Poor horse lol, looks humiliated, like he is thinking "could someone please take this dumb thing off my head". Interesting spot to place a ticket, insures it won't be missed. I know! It wasn’t his fault he got parked there. Thanks,I’ve always liked it too. I love that quote of the day! The parking ticket is hilarious. 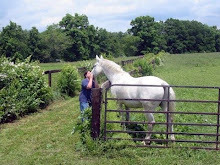 I long for the days of riding horses to town! Riding in NYC would probably be a little challenging today! I’m guessing this horse and carriage were probably in Central Park. But giving him a ticket, that’s just not right. Ha! I agree. If you’re pulling a carriage, you should get special parking privileges! We took a carriage with our kids when we visited NY. It was unforgettable. Love the quote! Poor guy, he does not look impressed! I agree, it's not right at all giving a horse and carriage a ticket. I'm sure there are enough idiot drivers around to keep the officers busy. I would think you’re right about the drivers needing tickets. New York is a nightmare to drive around and there are plenty of ticket giving opportunities for the cops!